The secret’s out: Victoria’s seasonal produce, world-class chefs and innovative winemakers are making waves around the world, and drawing visitors and investors to one of the world’s most liveable cities. Locals have enjoyed its seasonal, innovative food and wine for generations, but Victoria is fast becoming known as an international gastronomic hotspot. It’s attracted the big names from overseas – Nobu, Dinner by Heston Blumenthal – but the real highlights are homegrown gems like Minamishima for sushi rivalling Tokyo’s, Grossi Florentino for classic Italian, and Attica for an artistic take on Australia’s native ingredients. Recognising food, wine, and hospitality as an integral part of the state’s culture, Bank of Melbourne has supported Melbourne Food and Wine Festival since the bank was re-launched in 2011. Victoria’s global appeal can partly be credited to the waves of migration that have made it home to one of the world’s most successful multicultural communities. It’s no wonder Melbourne has been voted in the world’s top 3 most liveable cities since the Economist Intelligence Unit’s Global Liveability Index started in 2002. The state also punches above its weight in areas like higher education, medical research and world-class events like the Australian Open and Formula 1 Australian Grand Prix – which all contribute to its attractiveness as a destination to study, live, work and do business. The knock-on effect to the state’s economy is tangible, with its Gross State Product outstripping the size of national economies such as Singapore, Hong Kong and New Zealand. Victoria also boasts Australia’s strongest economy, driven by the highest business investment of all states. It’s experiencing an influx of residents from interstate and overseas, with Melbourne’s population growing the fastest of any Australian city over the past 10 years. Minister for Tourism, Sport and Major Events Martin Pakula said Victoria proudly leads the way as the nation’s biggest food and fibre exporter, accounting for 29 per cent of all exports. “We’re unreservedly proud of our achievements in Victoria and now the rest of the world is getting a taste for our great state,” he said. Research by Deloitte Access Economics for The University of Melbourne’s Victorian Eco-Innovation Lab suggests that if the trend for locally-grown produce increases by a modest 10%, the value of agricultural production from Victoria’s foodbowl will increase by $290 million per annum. International visitors are voting with their feet. Last year was the biggest on record for Victoria’s tourism, with 3 million visitors spending $8.5 billion during their almost 73 million nights’ stay. The industry’s growth is outpacing the traditional Australian tourist magnets of Queensland and New South Wales. It’s little surprise with what Victoria has to offer, said Minister Pakula: “With so many natural wonders, food and wine options, major events and cultural attractions, Victoria is an unmissable destination for international visitors.”The partnership with Melbourne Food and Wine Festival is a natural alignment for Victoria’s local bank. Bank of Melbourne Chief Executive Michelle Winzer said “Melbourne Food and Wine Festival is a highlight of Victoria’s major events calendar every year. 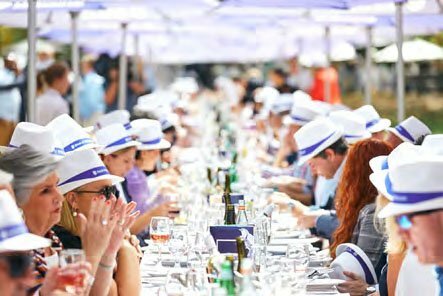 We love supporting the producers, chefs, restaurateurs and winemakers who’ve taken Victoria’s hospitality industry to the world.”The Festival’s flagship event is the Bank of Melbourne World’s Longest Lunch. The lunch locations over the years are a roll call of Melbourne’s most recognisable places: the ‘Little Italy’ of Carlton’s Lygon Street, the winding Grand Prix racetrack of Albert Park Lake, and the city fringe oasis of the Fitzroy Gardens. The iconic event sees 1,600 guests enjoy a gourmet 3-course meal created by a famous chef – or, for 2019’s lunch – chefs. Held on International Women’s Day, this year’s lunch celebrated all the women of the hospitality industry with a menu created by 3 famous Victorian female chefs: Karen Martini, Nicky Riemer and Lauren Eldridge. Ms Winzer said it was fitting that such an impressive lunch honoured all the women of food and wine – the farmers, restaurateurs, wait staff, entrepreneurs, winemakers, and chefs. “This year’s event in Prahran’s charming Victoria Gardens was the perfect way to mark the opening of a Festival that goes from strength to strength, and commemorates all the impressive women of this important sector of our economy”, she said. One of the best-loved events of the Festival, the lunch sold out in record time this year and has spawned regional versions in towns like Mansfield, the Yarra Valley, Geelong and Sorrento. 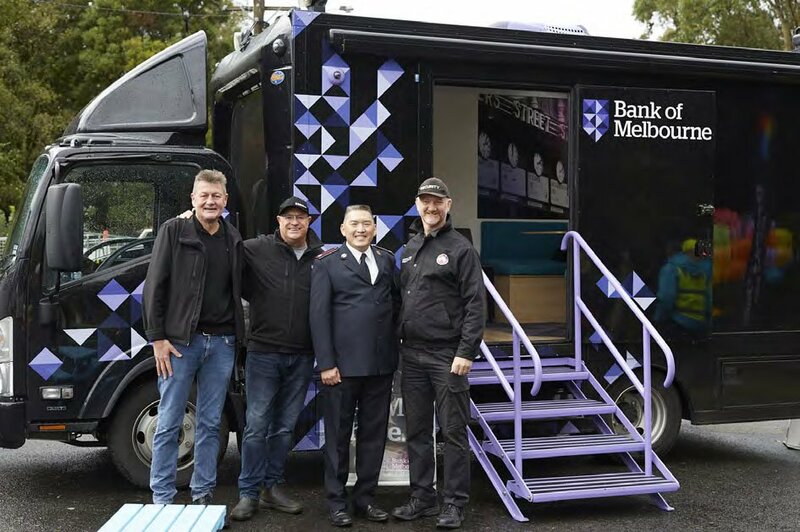 Bank of Melbourne’s branch on wheels at the Melbourne Food and Wine Festival’s ‘The Village Feast’ in Jindivick in March, where Bank of Melbourne staff launch the donation feature of its latest app to support bushfire-affected communities in the Gippsland region; pictured with The Salvation Army’s Lieutenant Colonel Sam Pho, second from right. In a further nod to the importance of regional and rural Victoria as a tourism drawcard, a new event for the Festival this year was the gourmet takeover of the pint-sized town of Jindivick – population 500. Bank of Melbourne showed its support for the bushfire-affected Gippsland region by making it even easier for customers to donate to the Salvation Army’s Emergency Fund, with a few taps on the latest version of its app. The CEO of the organisation behind Melbourne Food and Wine Festival, Food and Wine Victoria, Anthea Loucas Bosha said “The best food and wine experiences are the authentic ones, where there’s genuine collaboration and that is absolutely the case when it comes to the festival. The Village Feast was all about top Melbourne chefs working hand in hand with artisan makers and producers from Jindivick. When the region was affected by bushfires just days before The Village Feast, collaboration took on a whole new meaning as offers of support for the fundraisIng effort flowed in from high-profile chefs such as Matt Moran and George Calombaris, as well as partners including Bank of Melbourne.”During the Festival, some of Melbourne’s most famous restaurants opened their kitchens to fresh faces with innovative ideas. 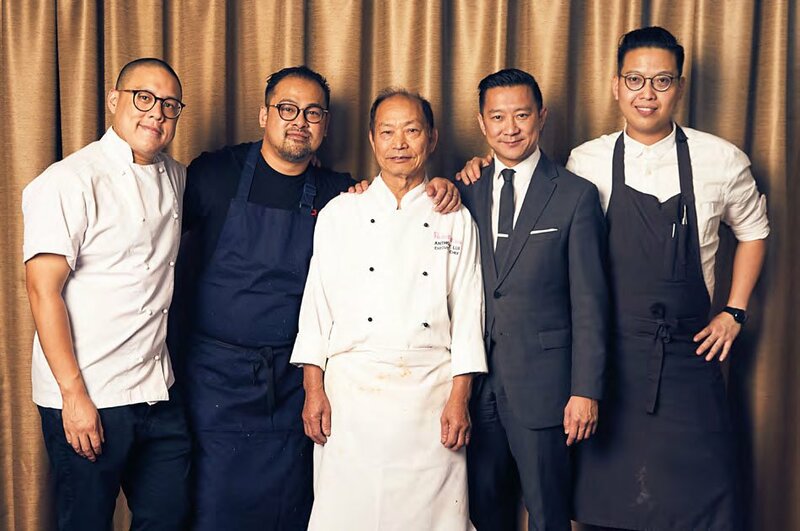 The best Chinese restaurant in Australia – some say in the world – opened its doors to the next generation of chefs for this year’s Festival. Many Melburnians would say you haven’t really experienced fine dining in Melbourne until you’ve been to the Flower Drum. Maître d’ Jason Lui knows the Flower Drum inside out, having started out folding napkins after school as a boy. With his father at the helm in the kitchen, these days Jason is responsible for making sure every customer leaves with a memory that lasts a lifetime. “One of the best things about my job is seeing the next generation of diners bringing their young families to experience dad’s cooking. Food brings people together, sometimes from different corners of the world. Every day I’m reminded that we have a responsibility to honour the generations before us who’ve made Melbourne the multicultural melting pot it is today”, said Jason.